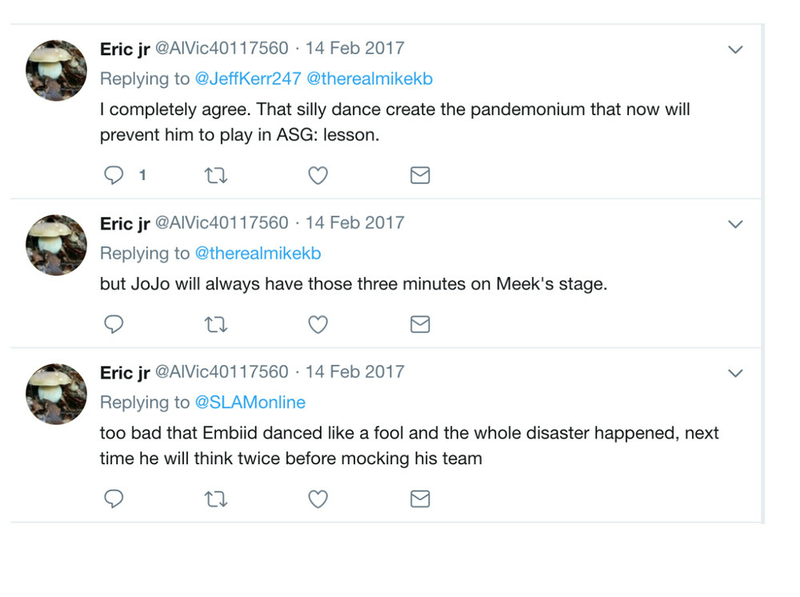 Does 76ers president Bryan Colangelo run multiple Twitter accounts critical of Joel Embiid, Markelle Fultz, Masai Ujiri and many others? Kevin Durant got caught last summer using a burner Twitter account. The Warriors star might be off the hook now. 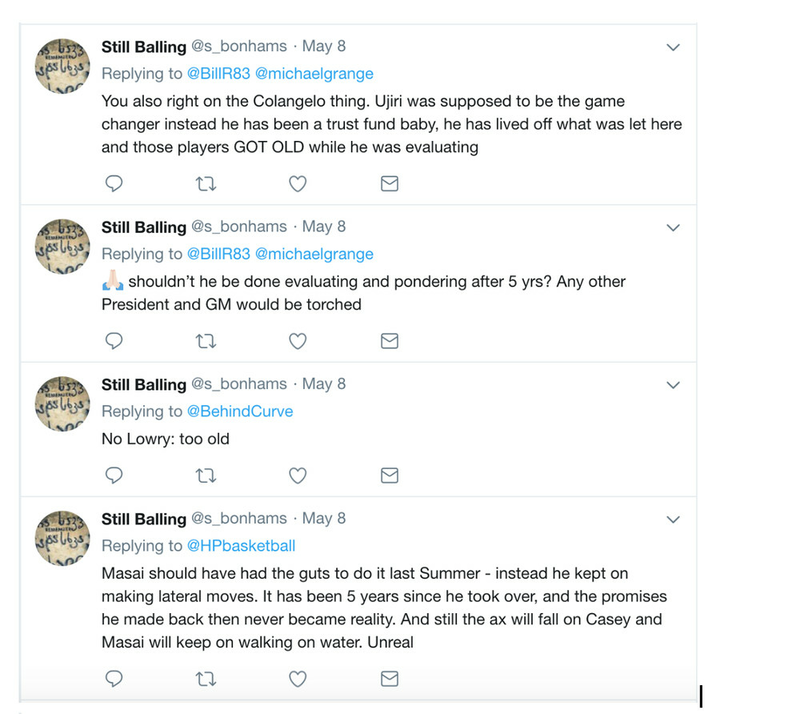 76ers president Bryan Colangelo – who was best known for admitting to tanking while running the Raptors and succeeding Sam Hinkie in Philadelphia – is suspected of using five Twitter accounts unattached to his real name. And the tweets from those accounts sure are juicy. 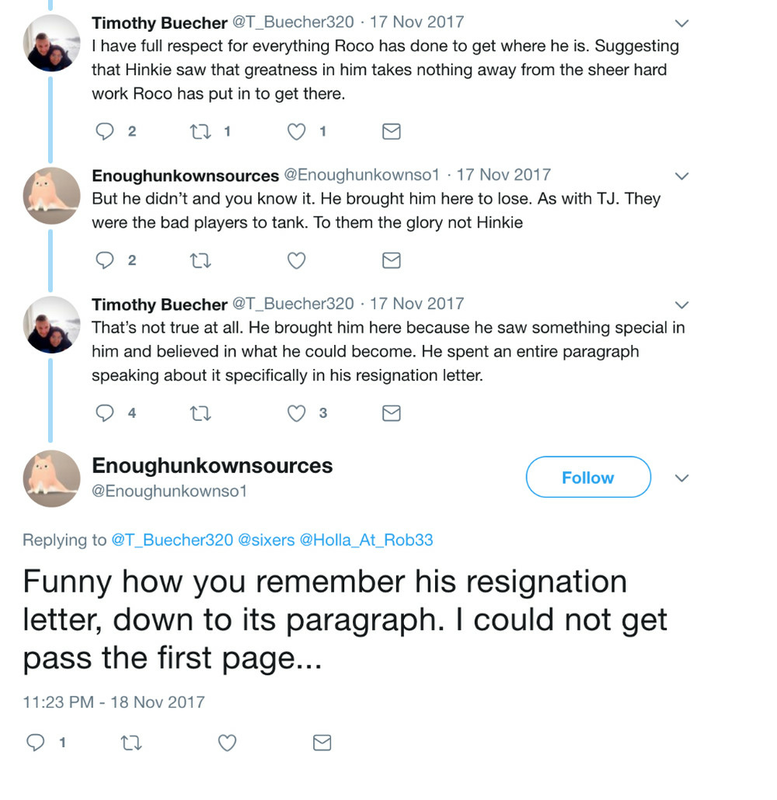 The five accounts pinpointed by the unnamed source included one that followed media members, Sixers employees, and NBA agents but never tweets (its handle is @phila1234567, and it has no account name), and four that have posted tweets or replied to other users. 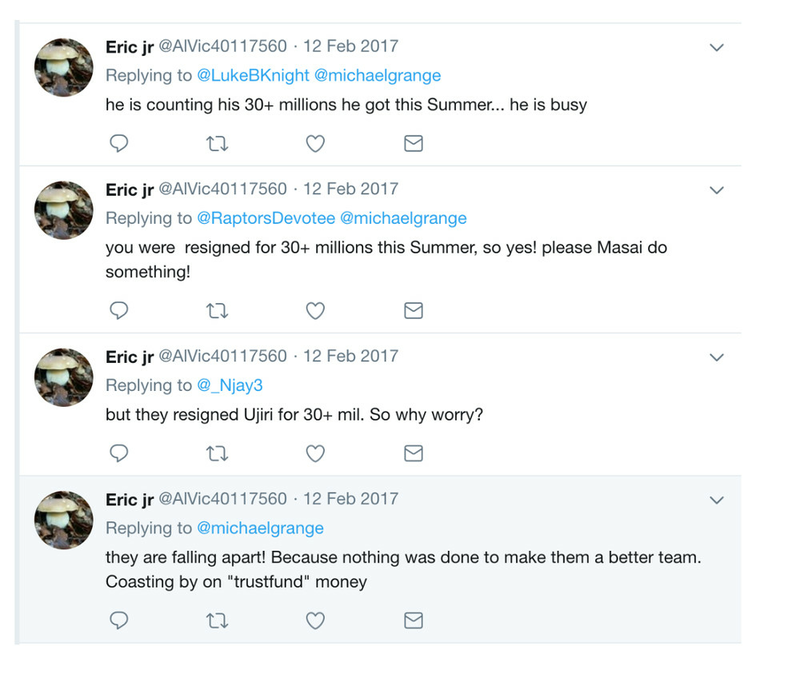 Of those, one was active between April 2016 and May 2017 (its account name is Eric jr, and its handle is @AlVic40117560), two were active within the past five months (HonestAbe / @Honesta34197118 and Enoughunkownsources / @Enoughunkownso1), and one was posting several times a day (Still Balling / @s_bonhams) and as recently as last week. On Tuesday, May 22, I emailed the Sixers and shared the names of two of the accounts, phila1234567 and Eric jr (I did not disclose our suspicions about the other three accounts, one of which, Still Balling, had been active earlier that day; I did this to see whether the partial disclosure would trigger any changes to the other accounts). On a follow-up call that day, Philadelphia’s media representative told me that he would ask Colangelo whether he had any information about the two accounts. That afternoon, within hours of the call, all three of the accounts I hadn’t discussed with the team switched from public to private, effectively taking them offline—including one (HonestAbe) that hadn’t been active since December. The Still Balling account, which had been tweeting daily, has not posted since the morning of the 22nd (I had already been following Still Balling with an anonymous account of my own, which allowed me to see activity after it went private). 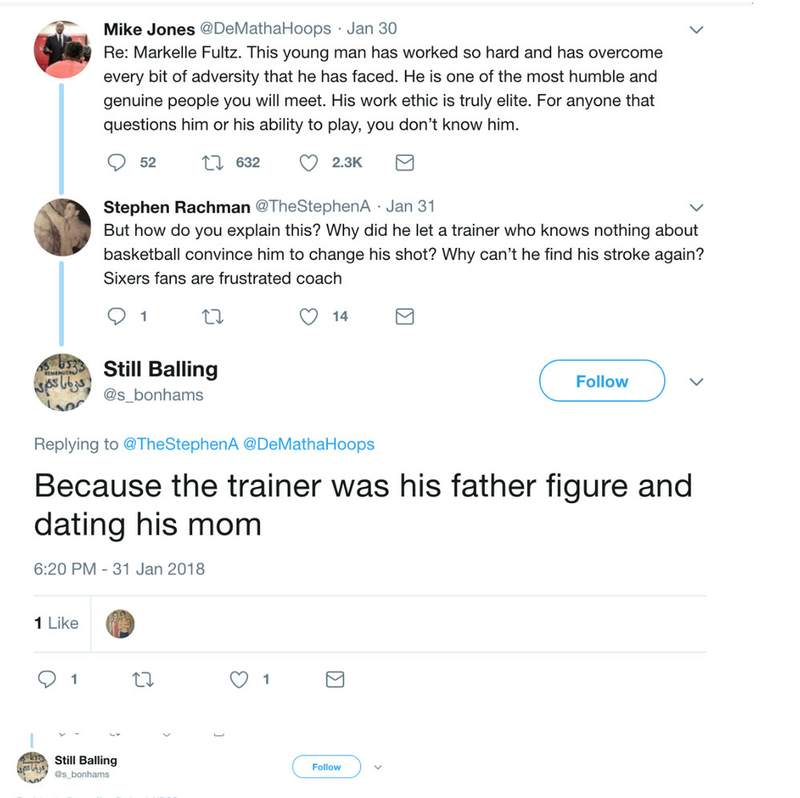 Since I contacted the Sixers, Still Balling has unfollowed 37 accounts with ties to Colangelo, including several of his son’s college basketball teammates, a former coach from his son’s high school, and an account that shares the same name as the agent Warren LeGarie, who has represented Colangelo in the past. Later that day, the Sixers rep called back. 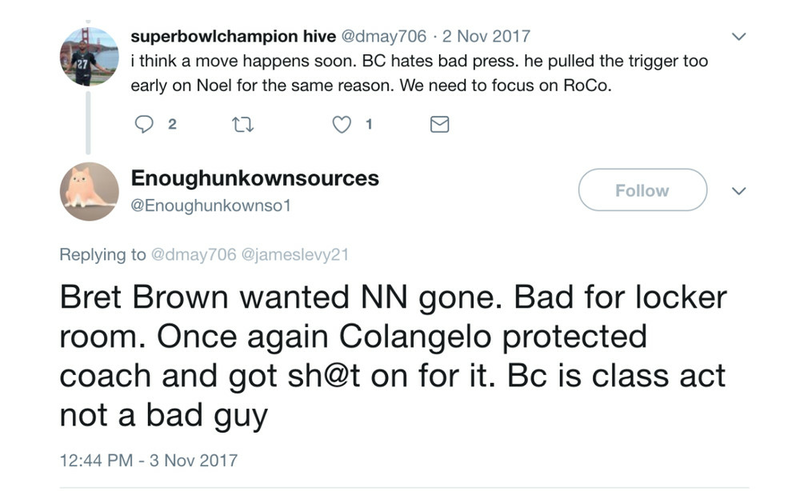 He confirmed that one of the accounts (@Phila1234567) did, in fact, belong to Colangelo. 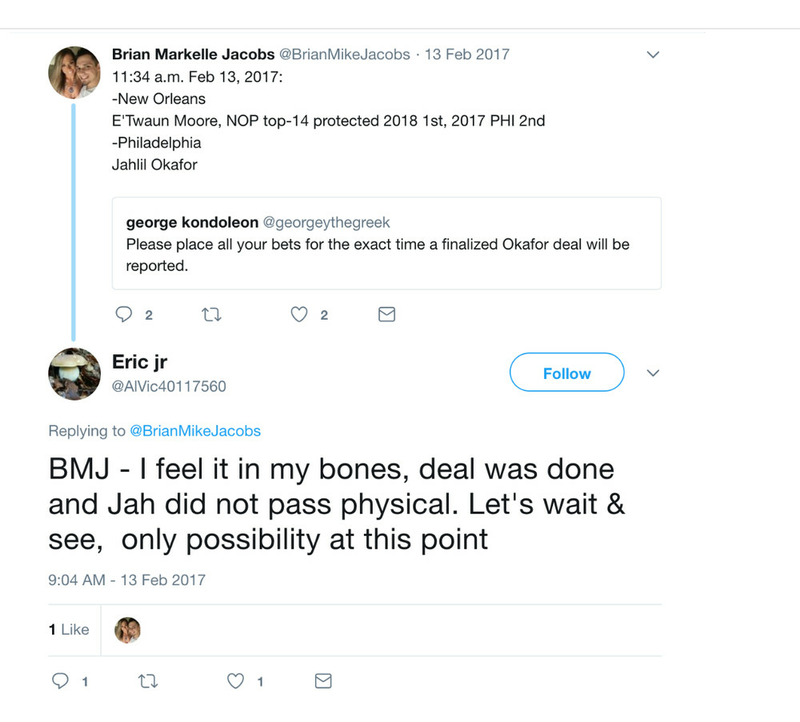 He said that Colangelo denied any knowledge of the Eric jr account. When I asked whether he had discussed my inquiry with anyone else in the organization that afternoon, he said that he had spoken to only one person: Colangelo. If Colangelo has nothing to do with those accounts, this is extremely unfortunate. The circumstantial evidence Detrick provided has already convicted Colangelo in the court of public opinion, and the content from this accounts are extremely loaded if from Colangelo. 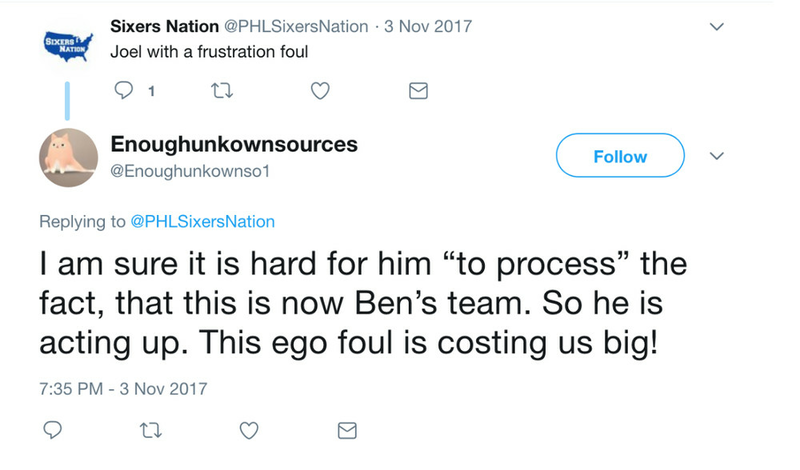 This could cost Colangelo his job, destroying trust both within the 76ers and across the NBA. Check out Detrick’s article for more insight into his reporting process and many more sweet, sweet tweets.